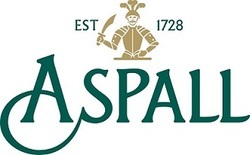 ​Founded in Suffolk in 1728 Aspall has been home to the Chevalliers for nine generations. Today, brothers Barry and Henry are the proud custodians of one of the UK's oldest family businesses. Apples are pressed on site and produce the very finest, world-class cyders and cyder vinegars available across the UK and exported globally. Premium award-winning cyders, vinegars and pressed apple juice produced at Aspall in Suffolk for nearly 300 years. Aspall Cyders have won multiple awards including the coveted World’s Best Cider award two years running, the 2011 International Cider Challenge, and Great Taste Awards. The flagship cider, Premier Cru, has a champagne taste - it’s pale, subtle and crisp. Aspall Draught cyder is served on tap and in bottle, Peronelle’s Blush made with a dash of blackberry and the Organic Cyder reflects the role the family played in being one of the founders of the Soil Association in 1946. Other ciders in the range include: Imperial, Lady Jennifer’s, Harry Sparrow and Mulled Cyder. Aspall has been at the forefront of cyder vinegar making in the UK for over 40 years and are now the UK’s leading speciality vinegar producer. Aspall vinegars include Classic Cyder Vinegar, Organic Cyder Vinegar, Red and White Wine vinegars, Apple Balsamic and other speciality vinegars.